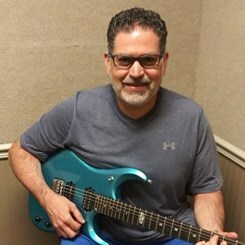 Pat has been playing guitar since he was 9 years old, having studied with some of the top jazz guitarists in the NY/NJ area. He studied jazz at William Patterson University receiving a Bachelor of Arts in Jazz and Business. Pat has been teaching for 25 years in a variety of styles - rock, jazz, blues and country. Pat also teaches bass and ukulele. Call in and check his availability on Mondays, Tuesdays, Wednesdays and Fridays in the Glendale location. Request Lessons with Patrick today!